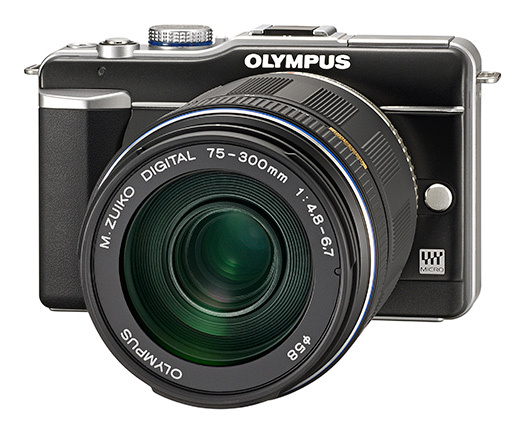 In the run up to Photokina at the end of September, Olympus has announced a collection of new developments in its Micro Four Thirds Pen mirror-less interchangeable, or 'hybrid', Pen camera system. These include a new high power telephoto zoom, the m.Zuiko Digital 75-300mm ED f/4.8-5.6 (equivalent to 150-600mm) and m.Zuiko Digital 40-150 ED f/4-5.6 (equivalent to 80-300mm). There is also a new Pen E-P2 kit featuring a black version of the m.Zuiko Digital 17mm pancake lens, previously only available in silver. The m.Zuiko Digital 75-300mm is very compact and features a new extra fast and quiet autofocus motor, similar to the motors found in the recently released m.Zuiko Digital 14-150 and m.Zuiko Digital 9-18 lenses for the Micro Four Thirds Pen range. Likewise, the new 14-150mm m.Zuiko Digital kit tele zoom is very compact and also benefits from the new fast and quiet focus motor. In the UK the m.Zuiko Digital 75-300 will sell for approximately �800, while the 40-150 will sell for around �300 by itself, although the majority will be included in new Pen camera twin lens kits, accompanying the 14-42mm standard kit zoom lens. The new fast and quiet AF characteristics of the two lenses announced today, along with the 14-150 and 9-18 lenses, benefit both still and video use, with the latter addressing the earlier problems of poor continuous AF and audible motor noise while recording videos. Both the 75-300 and 40-150 will be available in black and silver versions. 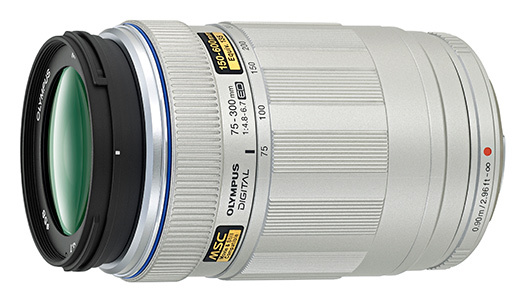 The 75-300 will be available from December and the 40-150 from the end of October. Meanwhile, E-P2 fans now have a new choice of camera kit based around a new edition of the 17mm f/2.8 pancake lens, and and a black version of FL-14 flash unit. 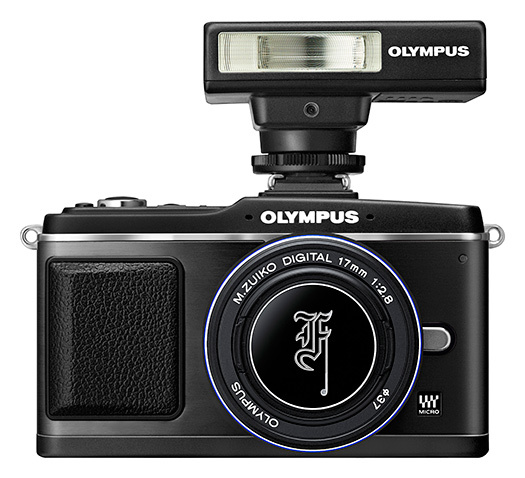 Both the new Olympus Pen E-P2 Special Black EVF Edition and Olympus Pen E-P2 Special Black Flash Edition feature the new black version of the 17mm f/2.8 pancake, complete with special edition Pen F retro style lens cap. We don't yet have UK prices for the new kits, but the Euro prices we have for the Olympus Pen E-P2 Special Black EVF Edition and Olympus Pen E-P2 Special Black Flash Edition are EU�1,079 and EU�1,049, respectively and will be available from October.